The Portuguese were the earliest European traders to land at Cochin, and Tirumalai (1623-1659 A.D.), the greatest of the Madura Nayaks, was eager to have foreign trade relations concluded a treaty with them in 1639 A.D. The pearl fishery which employed the Paravas of the coast brought them enormous wealth. The pearls were now the wealth of the Portuguese. 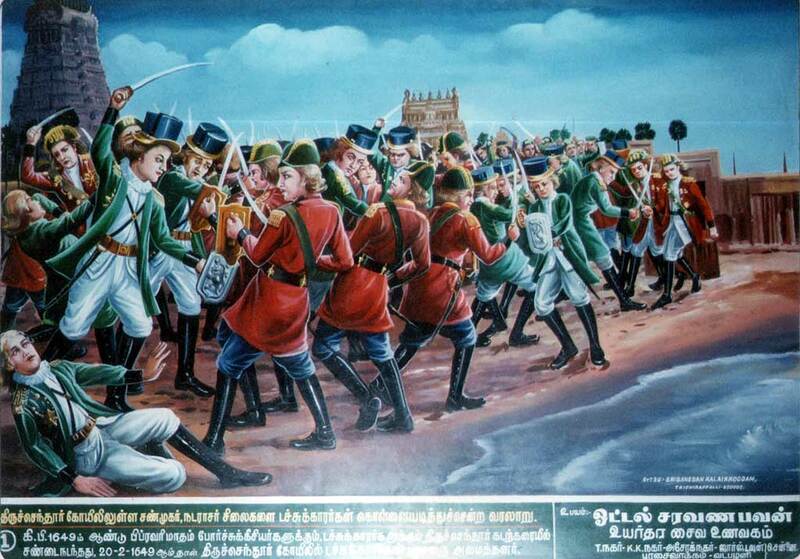 A treaty with the Dutch was concluded in 1646 by terms of which they were allowed to build a fort at Kayal-pattanam. This brought them into conflict with the Portuguese. They seized a Dutch boat laden with goods and drove the Dutch out of their fort and destroyed it.